This is my favorite kind of restoration work. It’s slower than mowing, but very effective. It’s the best way I’ve found to clear slopes that are too rocky or too steep for mowing, but it’s also a good way to clear flatter areas which will eventually be mowed annually. 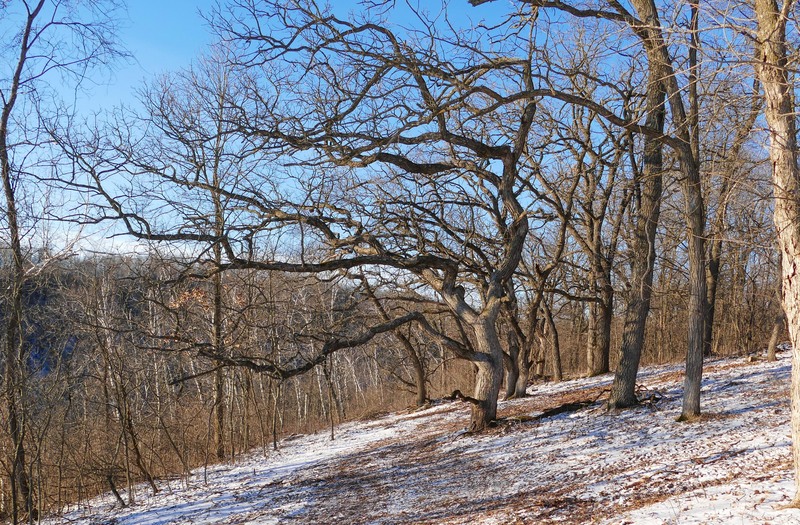 In this process, we cut each tree or woody stem – trees and larger woody stems with chain saws, small stems with hand clippers – and immediately treat the stump with herbicide. Glyphosate: 25% glyphosate mixed in water. I use it either in a 1 quart squirt bottle, or in a Buckthorn Blaster. A Buckthorn Blaster is useful when I’m cutting many small stems like raspberries. It holds a small amount of herbicide, and has a sponge top. The herbicide can’t spill, and it’s dispensed by turning the bottle upside down and touching the sponge to the stem. The blaster makes it easy to direct the herbicide exactly where I want it, without any damage to surrounding plants. The sponges wear out frequently – I replace them every few days. Garlon: 20% Garlon 4 mixed in Blue Bark Oil. I put it in a sturdy 1 quart squirt bottle. (The bark oil dissolves some plastics, so some of the cheaper squirt bottles don’t work. 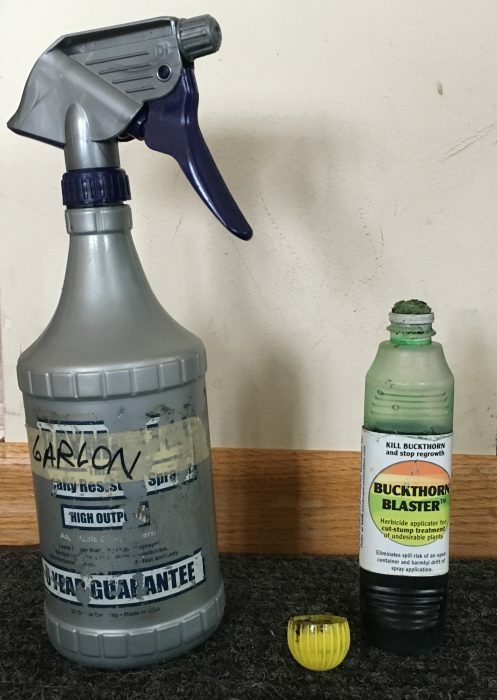 It also dissolves Buckthorn Blasters.) I use Garlon, not glyphosate, in the winter, because it doesn’t freeze. Both glyphosate and Garlon work on woody stems – I’ve never experimented to see if one is more effective than the other. We do the cutting with a chainsaw or hand clipper – depending on the size of the stem. Mike cuts the larger trees with a chainsaw, I concentrate on shrubs and smaller brush. I do much of my work on my hands and knees – it’s easier to reach the stems, and easier on my back. Also, some of the slopes are very steep, and it’s easier to keep my balance if I’m on my knees. We treat the cut stems immediately with herbicide. We’ve discovered that if we cut a lot of stems and then try to go back to treat them, we miss some. So Mike treats each tree stump as he cuts it, and I treat small groups of stems before I move on. If the brush is light and small, I drop the cut pieces on the ground as I go. If it’s thicker, or if it’s logs, we pile it and use the tractor to carry the piles to a large pile back in the woods. We used to burn our brush piles, but that turns into another big project. Now we just put our piles in places that are out of the way and let them slowly decompose. In the meantime, they provide habitat for small animals and birds and insects. 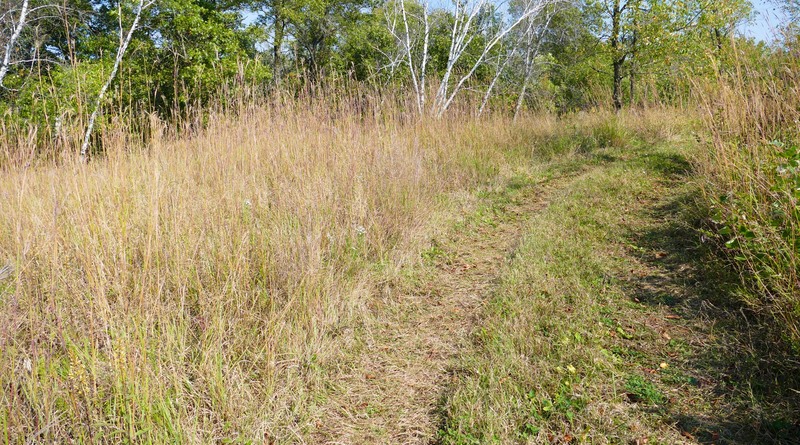 This was an overgrown savanna area that we cleared using this method. This first photo is before we’d done any work. After we’d cut most of the bushes, but not hauled them away. This is after cleaning up all our piles, and hauling them away. 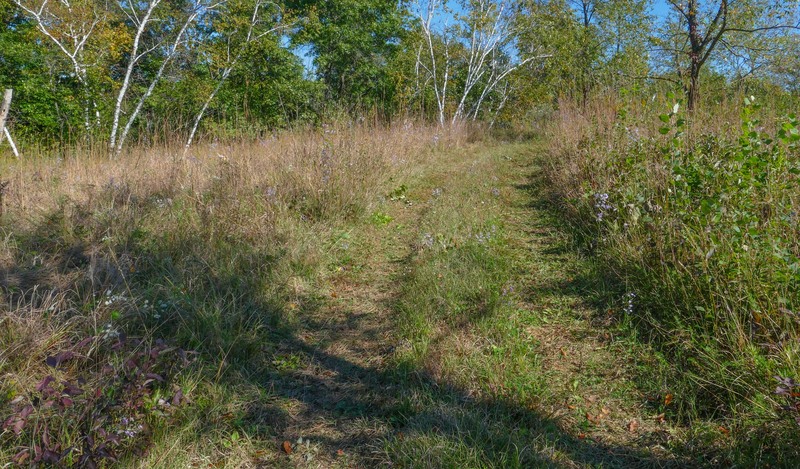 And this is the same place the next summer – there are still some weeds in the understory, but no returning brush. 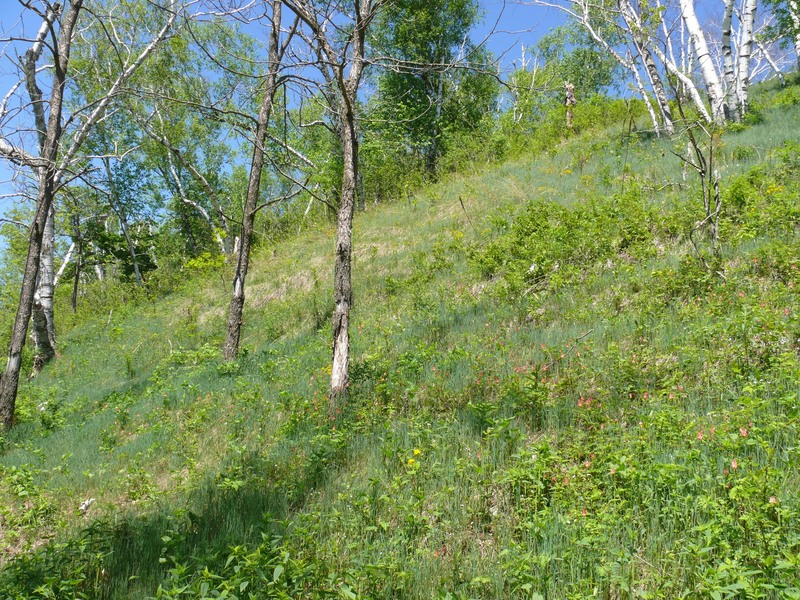 This is an example of a steep prairie hillside that I did by hand, throwing the cut brush onto a pile at the bottom of the hill. This first photo is from 2008, when I first started. 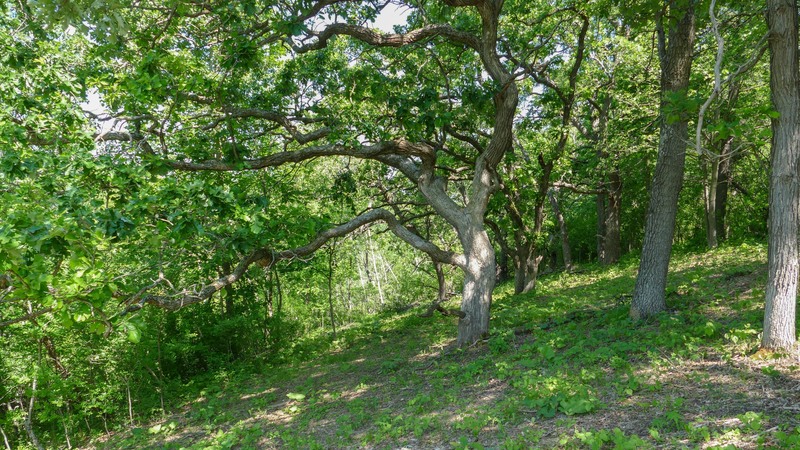 It’s a west-facing hillside. The understory plants were all prairie, but there was a forest of birches above them that I’d girdled, so they were dying. This is from 2011, after much cutting and treating of stumps. Woody stems that don’t work as well with this method are from plants that are clonal: Sumac, aspen, and Gray Dogwood. But even these species will respond if I cut and treat many stems in the clone. 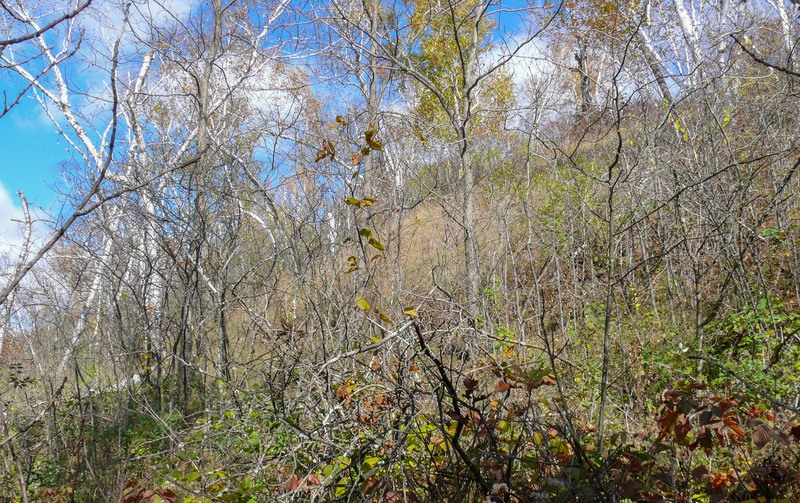 Sumac and aspen recover slowly, gradually sending up more shoots from their huge root systems. Gray Dogwood sends up smaller shoots from each treated stem. 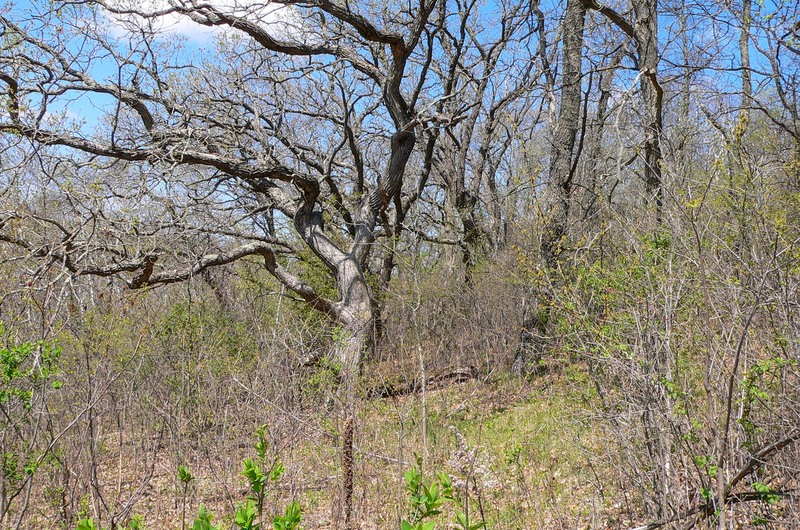 This shows part of a remnant prairie where there were hundreds of aspen and dogwood shoots. I’ve cut and treated the ones on the left, but not to the right of the path. 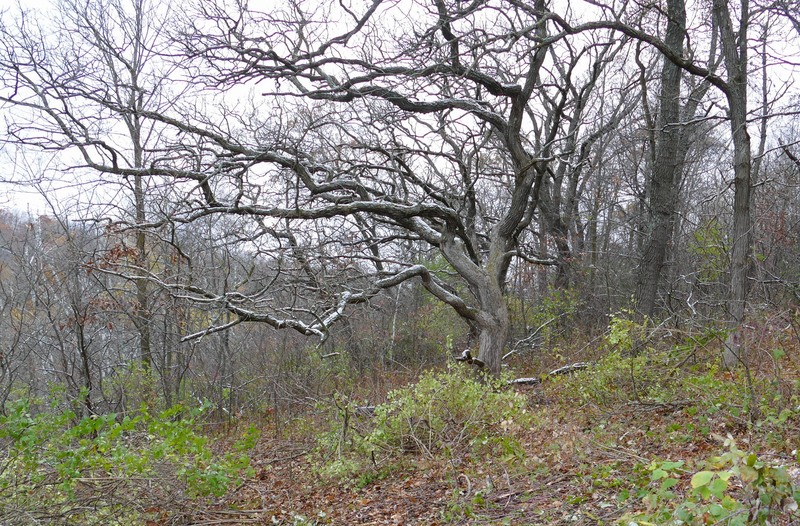 A year later, the area on the left is still relatively free of aspen and dogwood.